Preserve the quality of your hot, cold, or frozen food while expanding your delivery area with the Body Series by Delivery Concepts. The Body Series by Delivery Concepts features lightweight, insulated fiberglass bodies with frozen, refrigerated, heated and ambient compartment options, available in any combination. Models are available in 6-foot, 8-foot, and 11-foot lengths, making the Body Series a versatile temperature-controlled delivery solution for small businesses and large enterprises alike. 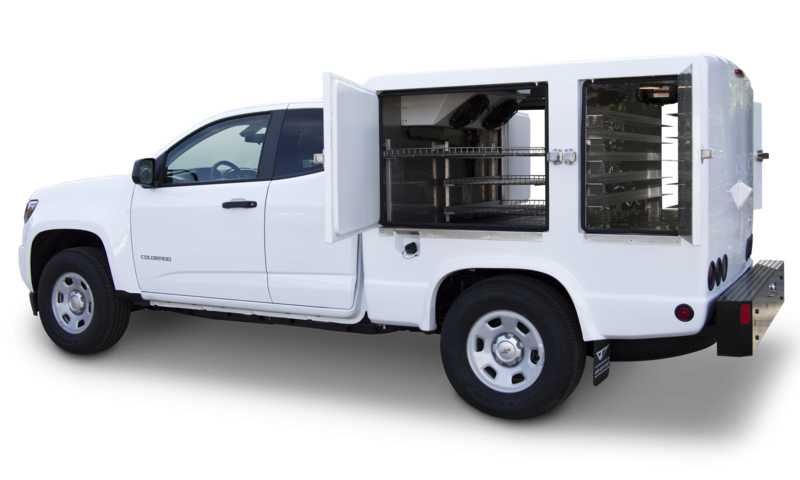 As a chassis-neutral upfitter, Delivery Concepts can convert most any pickup truck, commercial van cab chassis or van cutaway chassis into a temperature controlled delivery vehicle. All fiberglass bodies meet local and state Board of Health temperature requirements.